I can proudly write hundreds of books based on lifetime of scientific research to prove the thesis – what goes up DOES NOT come down. But even after all these books, this is what happens (Laughter). It simply doesn’t matter what I believe. Laws are laws! The law of gravity is law of nature. And then there are more subtle laws of nature called “karma” – that every action has corresponding reaction. In the Bible – as you sow, so shall you reap. What goes around, comes around. This is a law. It doesn’t matter what we believe. Srila Prabhupada said, “Whether you believe fire burns or not, when you put your hand in fire, it will burn whether you understand it or not”. Whether the chief fire Marshall puts his hand in the fire or a new born baby puts hand in fire, it’s going to have the same effect, because that’s the law of nature. The lower species of life are living out their Karma. They do not produce karma because they do not have the development of free will. But the human being has been blessed with free will. Often times soul must evolve through 8 million 4 hundred thousand species to reach the human birth, which is the crescendo of creation – because we are given this free will to choose. But with that free will comes enormous responsibility. We are answerable to our every action, every word. You can’t get away with anything. The laws of the state – if you are clever enough, or you have enough money , or you know the right people, you can get away with crimes. But the laws of nature, there is no escape. Paramatma, the Lord within the heart, sees every action, hears every word. And the Devatas, who are responsible for how this material creation is existing, they have their network, where they know everything. And Maya-devi herself is all-powerful. She is the expansion of Krishna. Therefore, we cannot get away with anything. 20 Responses to "The law of Karma"
If other species except humans are exempted from law of karma as they don’t have higher intelligence then how does the lord decide which life form they will get in their next birth? Thank for the genuine question Aniket. Actually because the other life forms are in the lower consciousness of life, the deciding factor regarding their next life is the nature itself. For example: a mosquito or a cat cannot focus their mind and remember Krsna at the time of death or anything of that sort because their intelligence and rationale is restricted within the purview of eating, sleeping, mating and defending. Or in other words, the lower species just act on instinct and they are not expected to follow any social or moral etiquette. Therefore, in essence the progressive life forms of lower species are freezed by nature as they are not in a capacity to discriminate what is good and what is bad for them. In other words, lower life forms are like a smaller railway station and human form of life is like a junction from where we can choose which station to go next but from a smaller station there is no choice but to proceed to a next bigger station from where there are a more number of options to travel. i beg to differ here.. i have not heard about this law before but it sounds interesting.. are some practical life examples here to help me understand..
Sure, there is a real life story of sukla gupta. Please google it with the string “Sukla reincarnation story” and open the first link from 16rounds.com. You will get a scientific case study of this reincarnation case as it is systematically analysed by Dr. Ian Stevenson. There are many more examples from cases of Dr. Stevenson which you may google and find out. Amazing explanation on laws of nature with relevant analogy with fire. By taking shelter of such wisdom, we can direct our free will towards right path. With that free will enormouse responsibility comes. Thank you very much for creating awareness about free will. 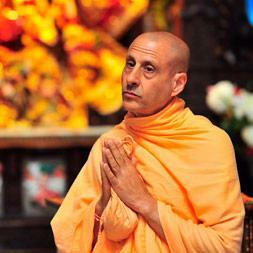 Radhanath Swami emphasized that laws would act whether we believe or not. Hence we ought to use our free will properly. Very nice lecture. Thank you very much. Very informative talk on the laws of Karma. Such a humourous beginning of the discourse. However, in that light humour from HH Radhanath Swami the messege is very deep that it doesn’t matter what any individual beleives, laws are laws and it is in the interest of everyone to abide by the laws in effect. Thanks for making this inspiring nectar available. Agree. Following laws is in our best interest. 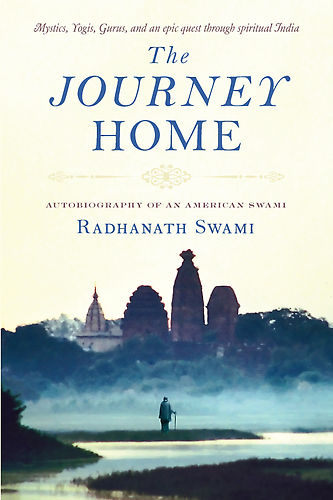 Thanks Radhanath Swami. 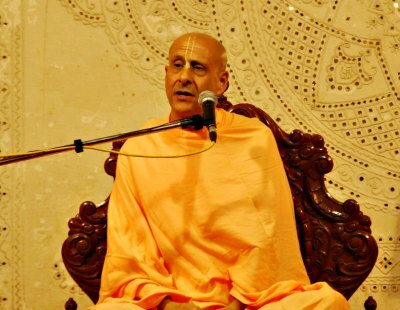 Wonderful analogy by Radhanath Swami to explain how laws of nature work and the importance of surrender to Krishna.